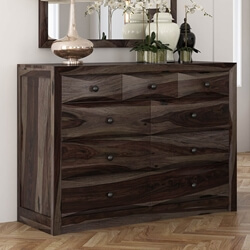 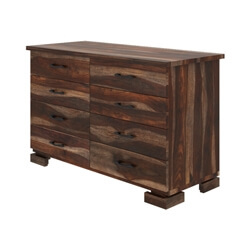 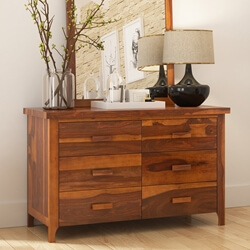 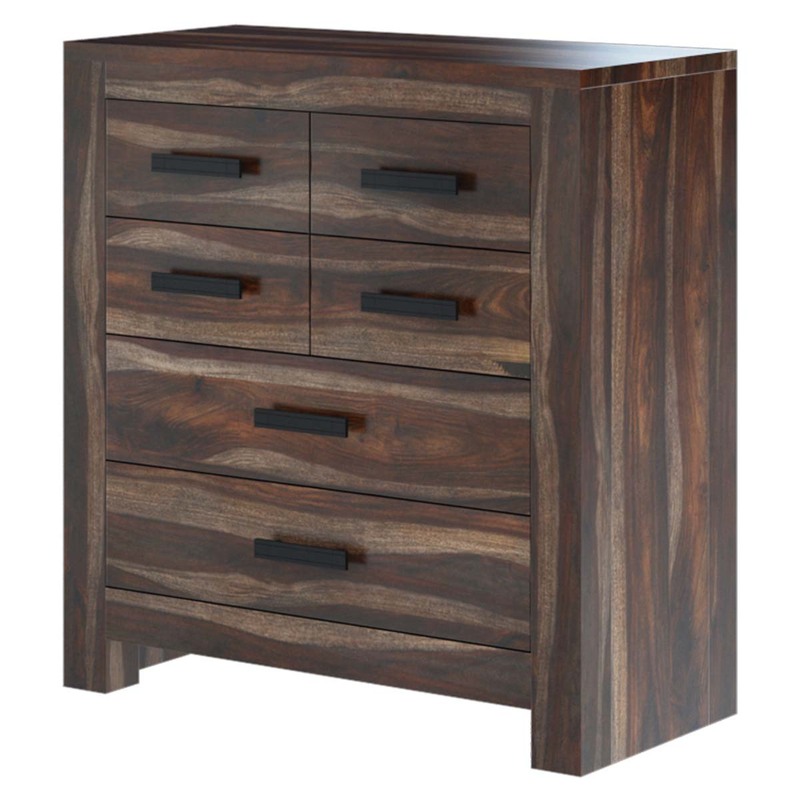 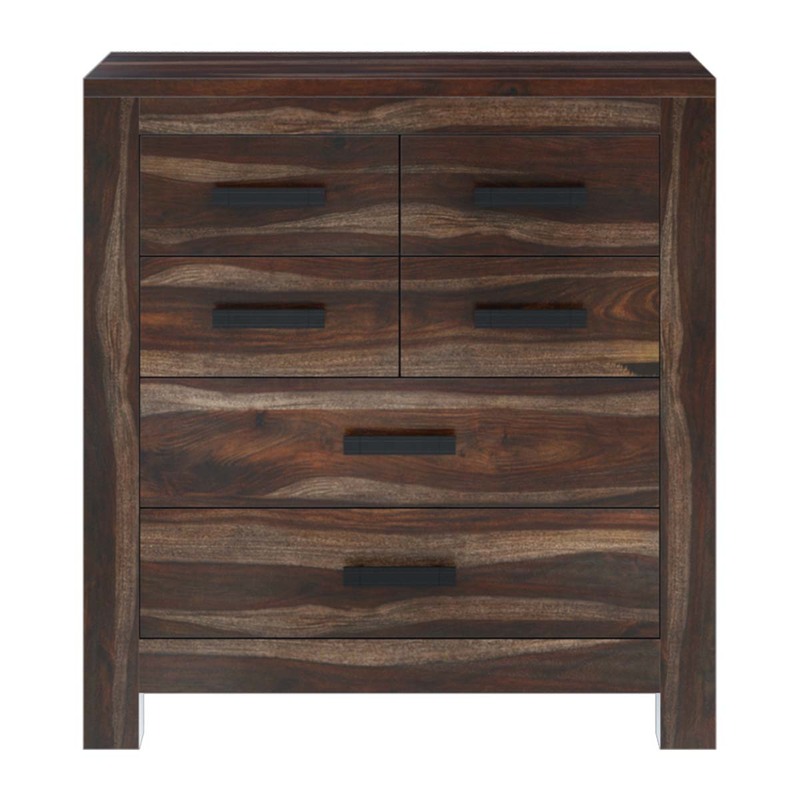 Robustly crafted from solid Rosewood, our Modern Handcrafted Rustic Solid Wood 6 Drawer Dresser showcases refined artistry to amplify the room décor. 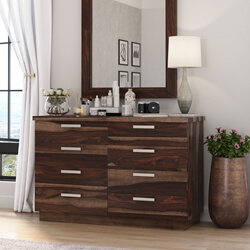 The neat lines of the dresser make it an ideal addition to modern homes while its four drawers on the top and two large drawers in the bottom provide enough storage space. 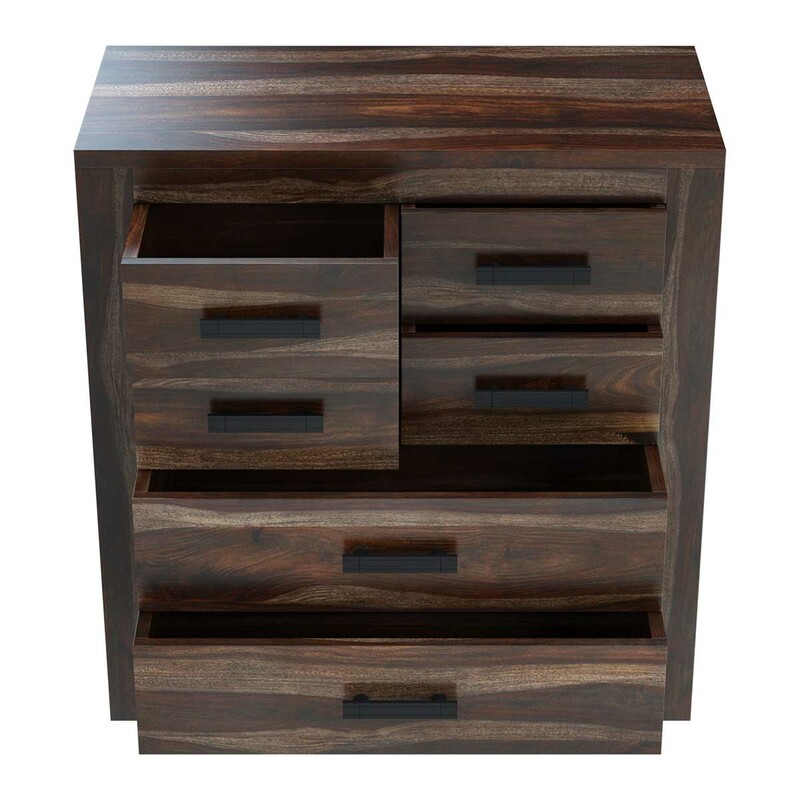 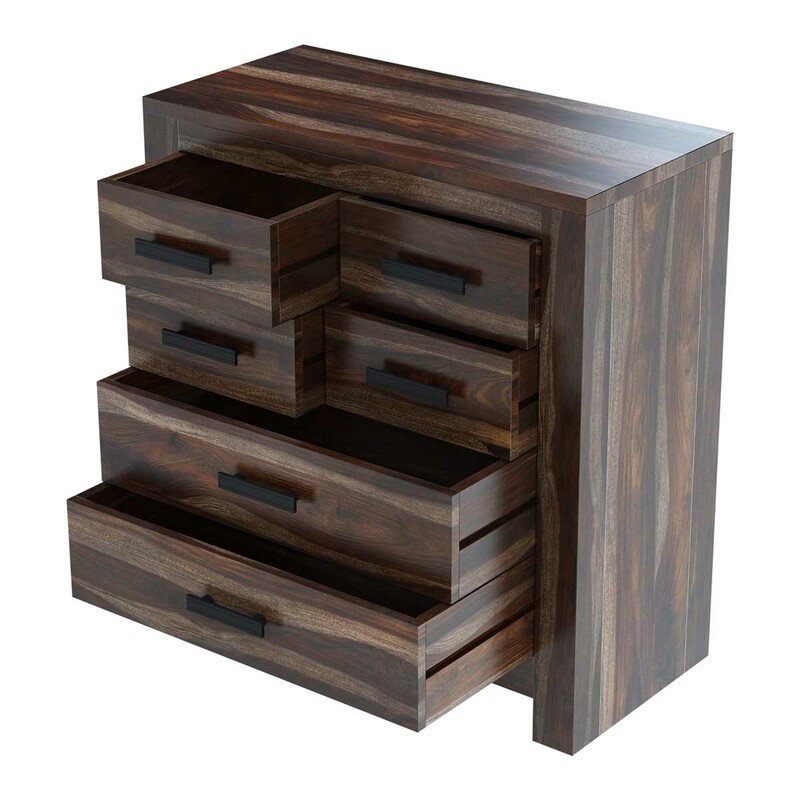 The top drawers are perfect to store vanity essentials or smaller clothing items, while the larger drawers are ideal for bigger clothing pieces. 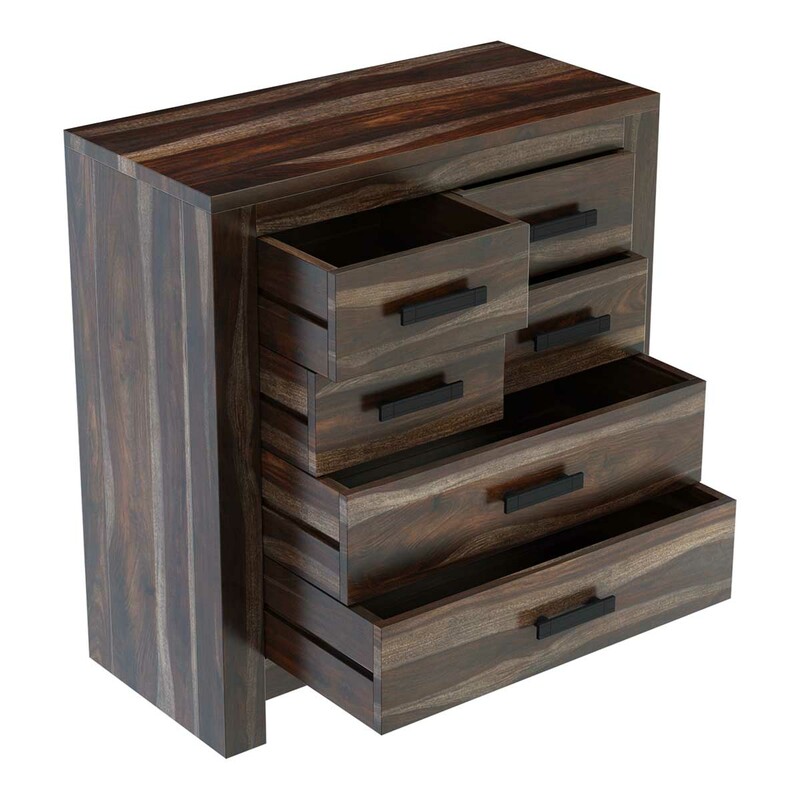 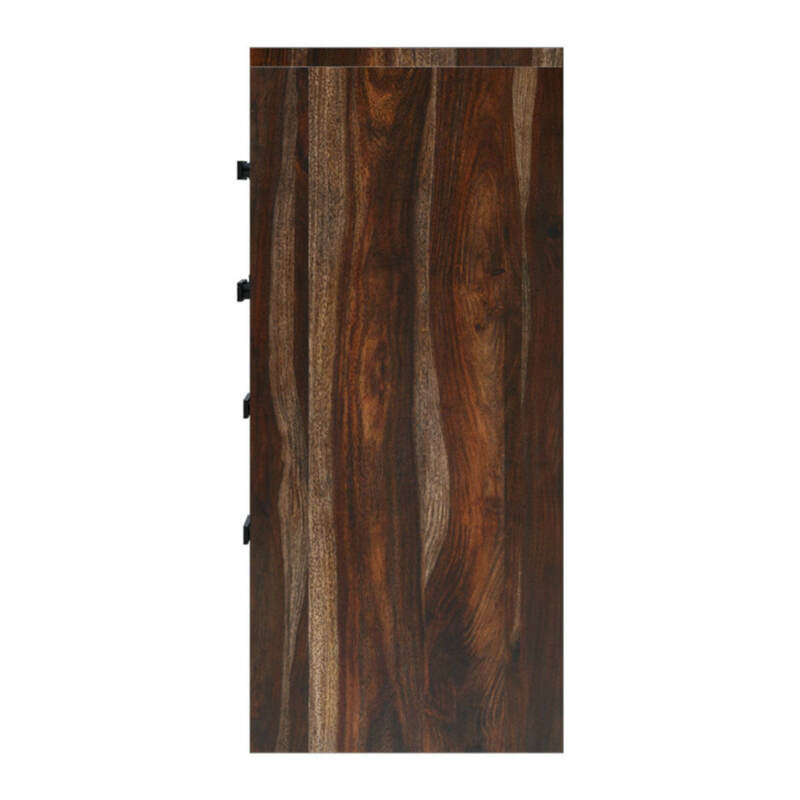 The wood’s natural pattern adds to its appearance while the sleek and chic black hand wrought iron handles complete the look. 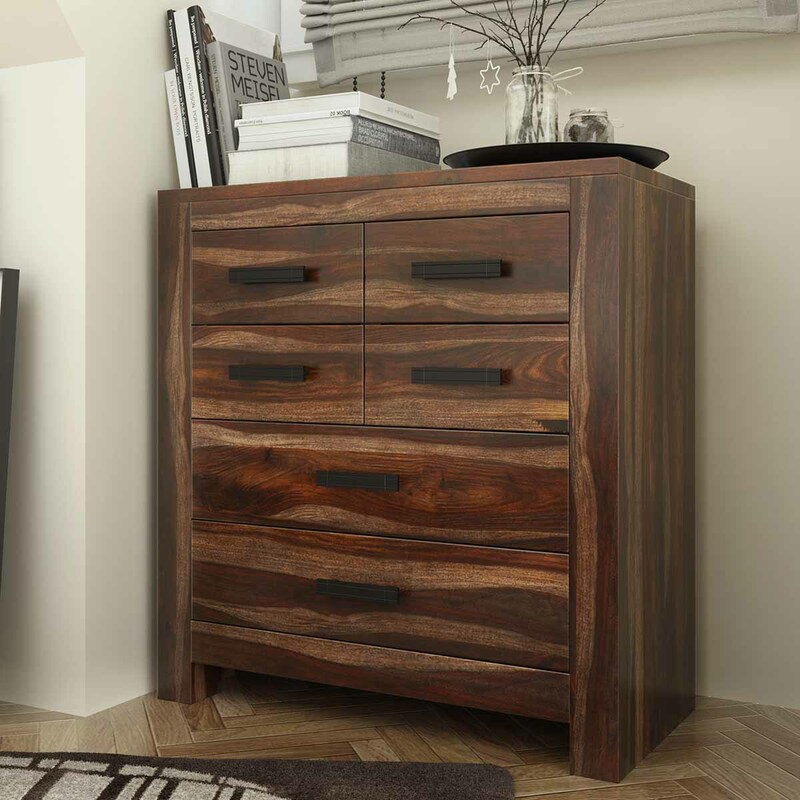 Pair it with a matching mirror for a cohesive look in your bedroom or keep it as is and use the top for decorative or lamp of your choice. 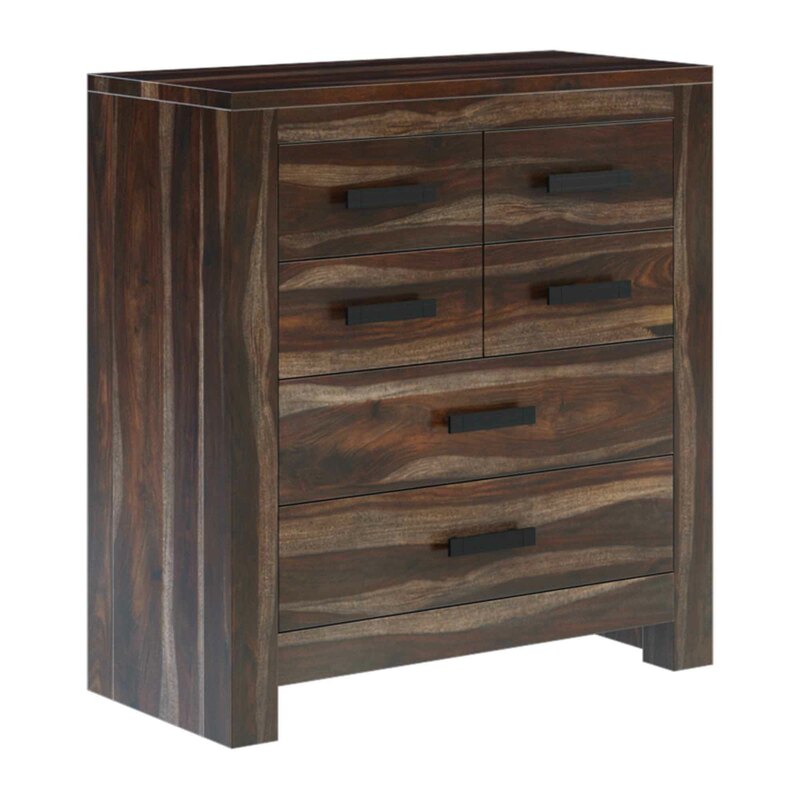 Materials: This elegant rustic bedroom double dresser is made of 100% solid Rosewood, offering years of sturdiness and visual appeal to your bedroom. 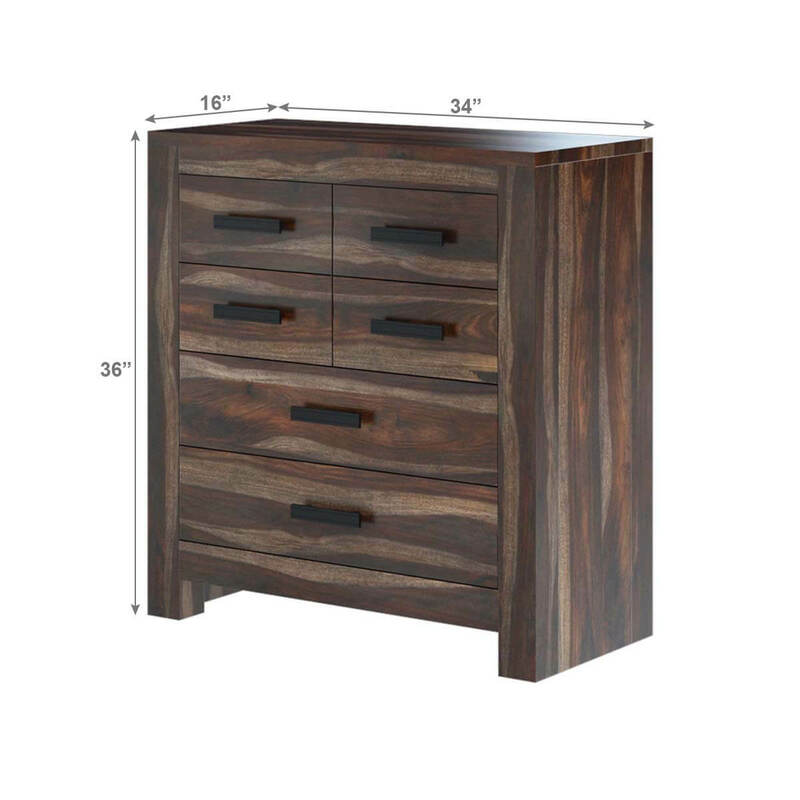 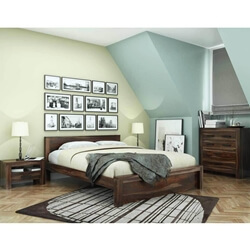 Finish: This 6 drawer double dresser features natural hand-rubbed stain and finish for enhanced look.